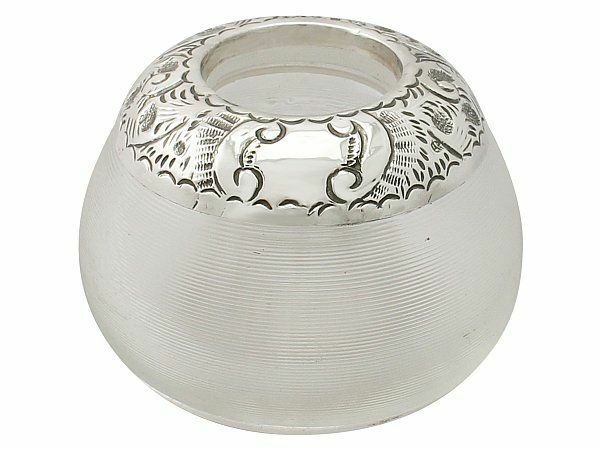 Here at AC Silver, we are certainly not in the business of encouraging anyone to smoke, however we know that many of our customers enjoy antique items which are unusual and reminiscent of a bygone era, and we have plenty of silver smoking accessories which fit the bill. Some of you may or may not even enjoy a cigar, or know of a gentleman (or gentlewoman) who does, and for those of you looking for an elegant and luxurious gift for that especially refined individual, a gentleman’s smoking compendium is the perfect gift. Our impressive and fine example is modelled in the art deco style, with the sophisticated minimalism and distinguished air that comes with this particular style of silverware. 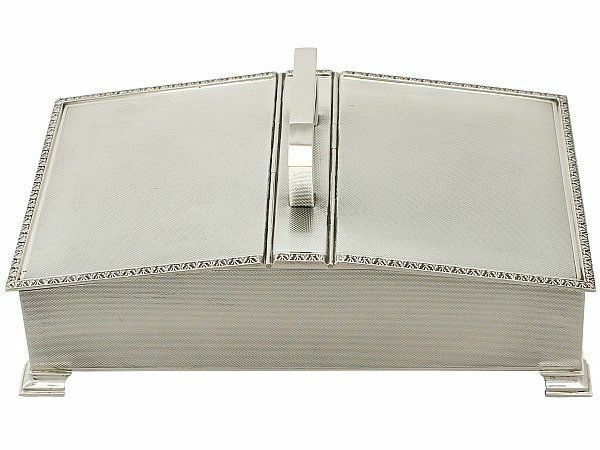 This silver smoking compendium features two separate chambers for cigars or cigarettes, and cheroot cutter and a compartment for discarded matches. This is a spectacular piece which makes a fine item for display, regardless of your cigar intake. 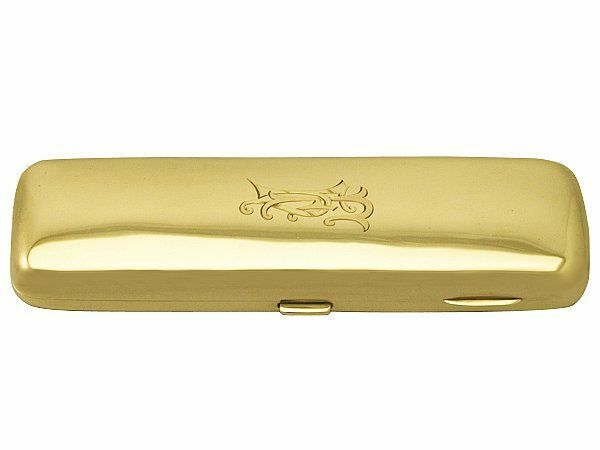 The vesta case is a piece which was briefly incredibly common and popular in Victorian times, due in no small part to the fact that vesta cases were a lifesaving piece of silverware at one time! The first incarnations of matches as we know them today were called ‘vestas’ – much in the same way as some vacuums are referred to as hoovers—vesta was simply the most popular match brand name! These first matches or vestas were incredibly flammable and combustible, due to the abundance of sulphur used on the top of the match to ensure that it would ignore. This meant that any friction at all could potentially cause the match to alight whilst in the pocket, and of course alighting all of the other matches in its vicinity! While there was no immediate solution to this problem until safer matches were developed, the way of keeping the match user safe was to encase the matches in metal, so if they should combust, the person carrying them wouldn’t be affected! Vesta cases therefore became an item which every gentleman who was fortunate enough to afford it desired and needed as a matter of safety. Vesta cases usually feature a striking panel which is serrated for lighting the matches inside, and with this particular example the silver on this panel is in fantastic condition and hardly worn. 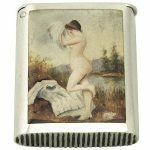 We are fortunate enough to have a variety of cigarette and vesta cases at AC Silver, and this particular piece features a wonderful example of Victorian erotica decoration in enamel on silver. The quaint image shows a woman daring to flash a bare ankle from underneath her bilious dress skirts, which would’ve been considered risqué during the Victorian era in which the item was created. The cigarette case was one of the few conceivable items which could bare images such as this, as at the time, smoking was considered a gentleman’s pursuit. 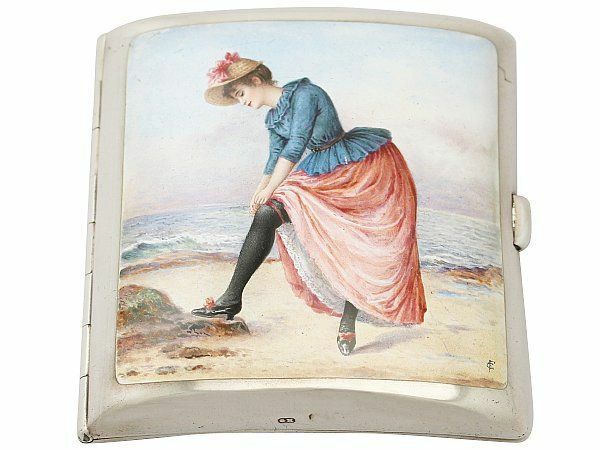 This cigarette case is in presentation condition, but could still easily be used to contain and carry cigarettes, and is far more attractive and amusing than any packet could be! One of our most spectacular pieces here at AC Silver is our 9 carat gold cigar and cheroot case, which is incredibly impressive and rare. 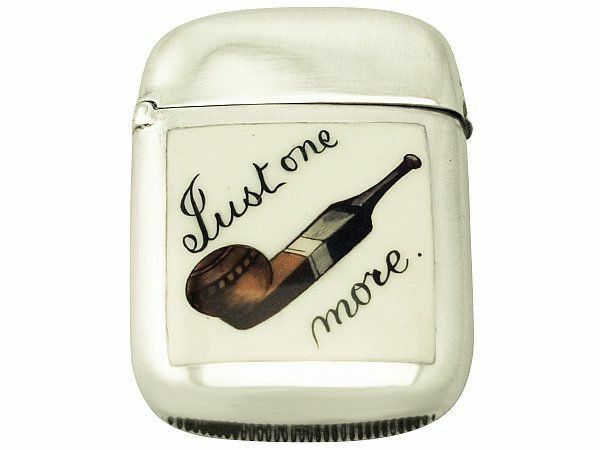 This would make a fantastic present for anyone who is a cigar smoker, and is the finest of its type which we have found. The quality of this piece speaks for itself, and its appearance and heft is unsurpassed. One of our most attractive smoking related items, although this piece could easily be used in a home where lots of matches are lit for candles – is this elegant Edwardian match striker. 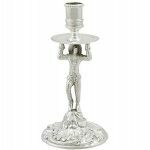 This piece is comprised mostly of glass, with a serrated edge to aid the lighting of the match, and a silver mount with foliate detail. 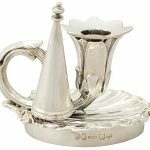 This exceptional example of antique silverware would meld seamlessly into the décor of any home, and would sit comfortably amongst other antique items, or within a minimalistic modern space equally as easily. 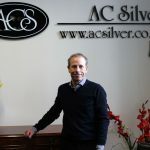 At AC Silver we have a certain affection for these pieces of antique silver, as they seem particularly evocative and personal, imbued with the history which led them to us. Whether or not you actually partake in the act of smoking, the fact that these items are incredibly handsome and noble is undeniable. 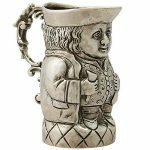 What is a Toby Jug?